I don’t have a Microsoft Account. 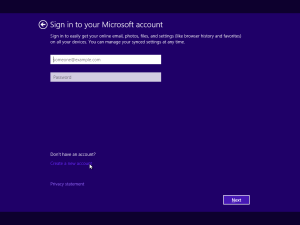 I don’t want a Microsoft Account. I don’t need a Microsoft Account. If this sounds like you, you’ll be happy to know that while obscurely hidden like a shutdown button in Windows 8, Microsoft has included the ability to avoid the use of a Microsoft Account when installing Windows 10. 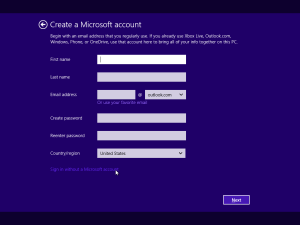 For the color-blind, purple-on-purple may not be very clear, but that’s another gripe for the Microsoft design team. 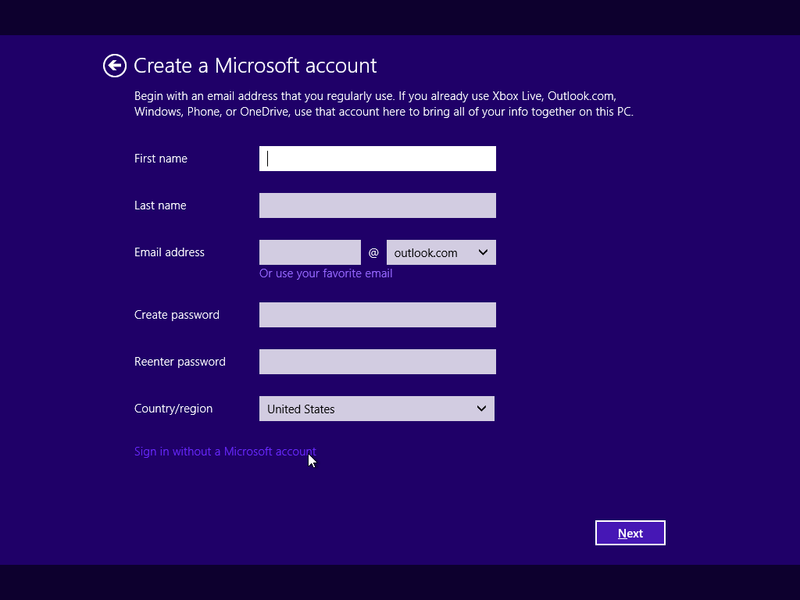 Now that you’re there, you’ll see another low-contrast option to “Sign in without a Microsoft account”. Go ahead, try it. You’ll be pleased with the results. I’ll bet you didn’t expect it to be so easy! 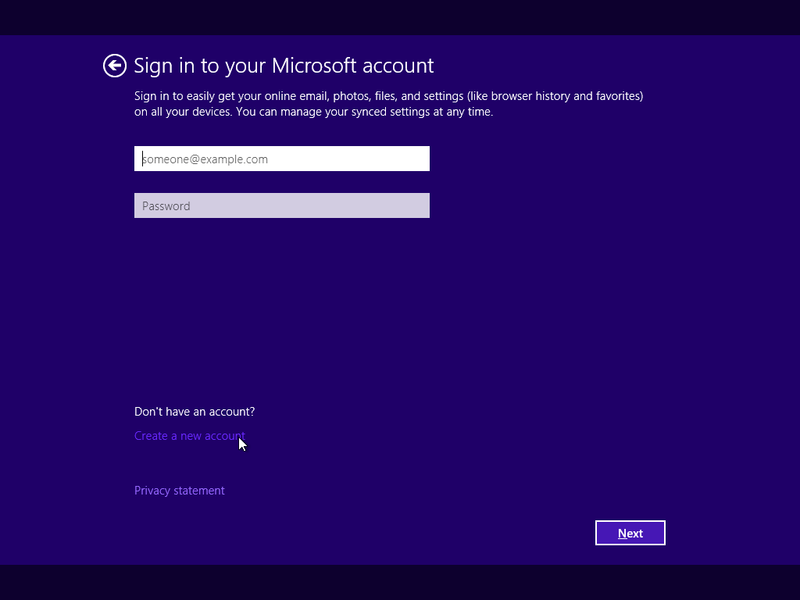 And there you have it, you’ll be able to create a Windows user account without a connection to a Microsoft account. 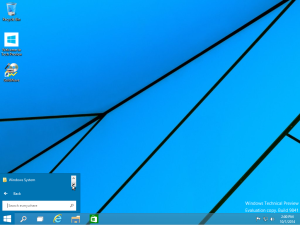 Windows 10 First Impressions – A Scrolling Start Menu?! 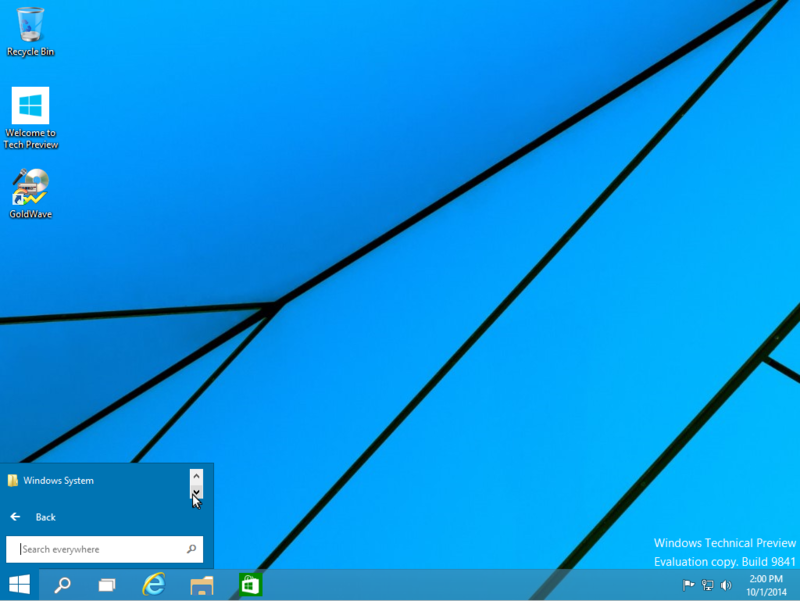 Well, Microsoft has decided to skip Windows 9 altogether and jump to Windows 10. Could it be that they are so ashamed of Windows 8 that they wanted to separate themselves from it? Is it that they think they’ve finally got a “perfect 10”? 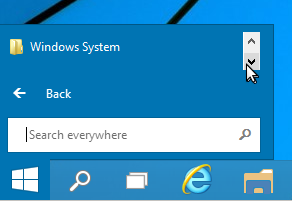 I installed the preview and must say, it feels a lot more like the old desktop paradigm, but the start menu is still garbage. At least in the first preview. Yep: I’ve got a single line where each “app” appears, and an up/down button to allow me to flip through them. I’m guessing this is a glitch, or a bug, or an oversight, but you’d think they would have gotten the one selling point right. I mean, anyone who hates Windows 8 for the “start screen” is testing Windows 10 specifically to see if Microsoft got it right. But hey, Goldwave installed and runs well! Good thing it adds an icon to the desktop since I don’t want to have to scroll down to “G” one line at a time, let alone a program starting with X, Y or Z.